Shockingly, Rick Warren used the infamous Tower of Babel as his major symbol of his 2004 "40 Days of Community" program! For 2000 years, Christian preachers and teachers have properly understood that the "Tower of Babel" was man's supreme early effort to build a global government, economy and religion in direct opposition to the God of the Bible. The Tower of Babel was dedicated to the many gods of the Babylonian Religion, but the upper-most statute was to be the god, "Bel- Merodach"! Yet, Rick Warren used this symbol to represent his goal for his agenda to build a global community of churches! In the late 20th Century the Tower of Babel became the symbol of the European Union, thus becoming the major icon of the Luciferian New World Order. Since that time, other programs have blossomed from Rick Warren and the church growth movement at large which contain underlying doctrines of Easten Religions, New Age beliefs and even elements of Witchcraft. 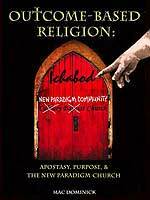 This book reveals the details as to how the Christian Church is being deceptively led into the Laodicean Age. We predict this book to quickly become the most important in revealing the true nature of Rick Warren and his "Purpose Driven Church"! Written by Cutting Edge researcher, Mac Dominick, author of "Outcome-Based Religion: Apostasy, Purpose, and the Paradigm Shift"
This CD is in PDF format so it can be read on your computer or transferred to a portable device like an ipad.